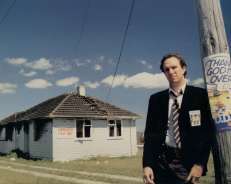 Treading close to the potholes of Kiwiana nostalgia...Mullins is always saved by his wit and the emotional clarity and directness of his writing, taking us down the drive and into the neighbourhood through his eyes. about life in this country. A different slant on jazz ... with lyrics that are distinctly homegrown makes this album a definite winner. This album is strong on melody and there is a healthy dose of humour in Mullins' sardonic lyrical delivery. Mullins hasn't had the radio and TV play he deserves. 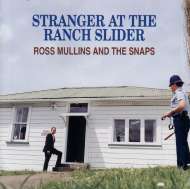 Ross Mullins occupies a special niche among songwriters ... his lyrics possess a unique and distinctly New Zealand flavour. The outstanding feature throughout is Mullins' lyrics. They are astute observations on New Zealand life. 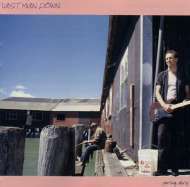 Parting Shots offer more insight into the New Zealand culture than we have a right to expect from a single songwriter ... 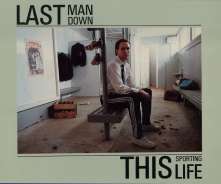 I only hope that the album title does not mean that Last Man Down is saying goodbye. If you care about New Zealand music, buy all three just in case. I am grateful that this country has such a talent. 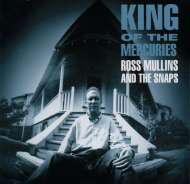 May we continue to observe and enjoy ourselves through the music of Ross Mullins. Mullins has a fine reputation for his lyrics ... He continues in that tradition on this CD. Highly developed lyrical sense, a truly excellent band and a really nice sound..
A mirror of kiwi racing, rugby and booze life, by one of New Zealand's more original groups. A nice slice of subtle, indigenous humour. An insightful collection of portraits and images of Godzone remarkably similar in scope and tone to Randy Newman's master work about the American South, Good Old Boys ... another significant contribution to the New Zealand music catalogue. Mullins sings songs that should be listened to. They are acute observations on New Zealand life without the button-pushing icons that so many other lyricists resort to. sharply observant homegrown lyrics and warm melodies... warmly recommended. 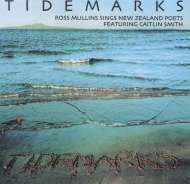 at their best Mullins' songs squeeze out hermetically sealed insights on New Zealand life rarely captured by our best social critics. a power of observation that I don't think has ever been seen before in a New Zealand album. a collector's item in years to come.